Pieter, currently one of the Harcourts Top 10 agents for the Western Cape and A Top 20 Agent Nationally, has learned a lot about the Real Estate Industry of South Africa in the past 16 years, starting in 2001 as an agent alongside his father who opened their family business in Warmbaths Limpopo in 1969. He quickly implemented all he was taught by his father when growing up and became an competitive agent to be reckoned with. Residential sales became a hobby and Game-farm sales became his passion in 2004. In 2006/2007 he moved to Ellisras (Lephalale) where he got involved with housing projects and new developments when Eskom commissioned a new power station known as Madupi. In 2008 he moved to Pretoria and got more involved In the Information Technology Sector and marketed properties in the Waterkloof and surrounding suburbs of Pretoria. In 2011 he moved to Durban to focus more on Commercial sales for a year after going back to Limpopo to implement new technology to take the family’s agency to new heights. He joined the Harcourts team in 2014 and moved to Langebaan where he is overseeing the Bay View Development and has established himself into the Langebaan community as a key player when it comes to buying or selling residential property on the Westcoast. Pieter is always willing to help and to learn from others in order to increase his own knowledge and success, he is passionate about people and property, specializing it Beach Front and high end properties on the westcoast. His message to the world: People who survive in the Property Sector are the people who stand up and search for opportunities, and if they don’t find it, they create them, instead of blaming their circumstances. People who flourish are the people that are always ethical and efficient when it comes to selling property. 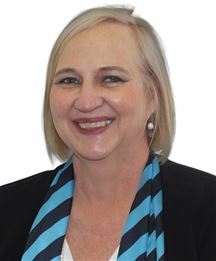 Amanda moved to Langebaan in 2014 from the Northern Cape and was offered the opportunity to become involved in the real estate market and more specifically with rentals. She enjoys the pace of the industry and the daily challenges that need to be addressed. In 2013, she was given the opportunity to become involved with the marketing of holiday rentals through a private enterprise that stimulated her interest in the real estate industry. Amanda is qualified up to Honors level in both the Fine Arts and Tertiary Education. She obtained a Marketing Certificate by IBEC, Tuks School of Business and is currently doing her NQF4 in Real Estate. Annatjie was born and lived most of her life on the West Coast were she has been involved in Wedding planning for 12 years. She started her property career in 2011 when they moved to Worcester, working as a rental agent with Aida. 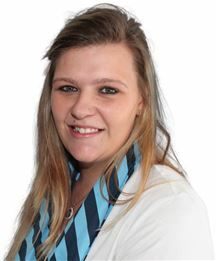 When she moved to Langebaan the opportunity was given to her to join the Harcourts Team. She is currently busy with her NQF4 and have a good rental book. Annatjie is friendly, positive, enthusiastic, courageous, always willing to help and to learn from others, while enjoying a challenge. Good work ethics, and customer focus is what drives her performance. She is an enthusiastic team player who is well known for her friendly and helpful approach, with an inquiring mind, always willing to learn from others and firmly believes her clients come first. 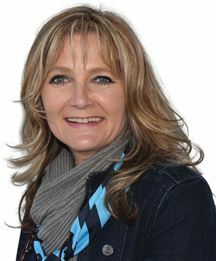 Cindy started her career as a Rental Agent in 2005 with one of the well-known International Real Estate companies of South Africa where she realised her passion for Real Estate and shortly afterwards combined Rentals with Sales. Matriculated at Kempton Park Hoërskool in 1987, completed Office Management and Marketing at Kempton Park Technicon in 1989. Started her career as a Personal Assistant in 1990. Worked and studied to be a Computer Software Programmer at Chenney Allison and Associates, developing Software Programs for Construction Companies like Murray and Roberts. Being a resident in the Western Cape since 2008, the past 4 years in Langebaan, she is well known in the community and through the organisation of community events have given back to the community not only her time, but also her love for people and animals. 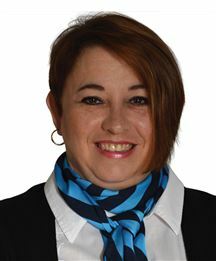 She joined the Harcourts team early 2019 and contribute to the Langebaan Sales Team. Her believe for honesty and integrity in Marketing and Selling of property ensure that you will always get the best market related price and information from her and she will go beyond the Sale to assist her client settling into their new home. Malande started working at a Holiday Home cleaning business in 2010 that later on progressed into Holiday rentals. This caused her to gain an interest in property sales and management, so she started working at Harcourts in 2016. 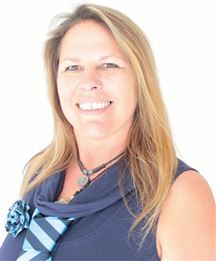 Now she is a proud rental and sales consultant for Harcourts West Coast, based in St Helena Bay. She has been living in St Helena Bay for 13 years and have acquired a vast knowledge of her town and surrounding areas. She is extremely passionate about what she do and dedicated to her clients. She lives the Harcourts values and always act to her clients’ best interest at heart. 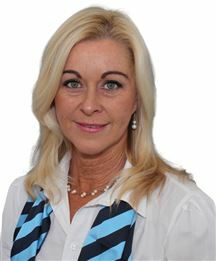 With the added support of Harcourts West Coast, with our world-class property marketing tools, ongoing training and the use of the latest technology to market, sell and lease property, she is able to deliver an outstanding real estate experience to her customers. She graduated with a Bachelor degree in Business Management from The University of Southern Mississippi in America with highest honours. Back here in South Africa, she became part of Reko Accountant in 2016 as an internal auditor station at Duferco Steel Processing located in Saldanha. 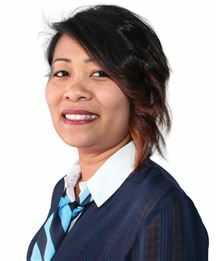 The passion for real estate overcome the joy of auditing works and so she joined the Harcourt team at the end of 2018 to pursue the dreams of becoming a successful Real Estate Agent. She is a kind and compassionate individual with energetic energy. She enjoy making people happy and so she is eager and willing to go extra miles to accommodates her client’s needs. She believes that in order for her to be a successful real estate agent; her focus should be on satisfying the client’s needs and not solely on making the sale for commissions. Paul was born and lived most of his life on the West Coast were he has been involved in both Short - and Long term insurance as well as the banking industry for more than 25 years. He has also owned and managed a Retail and Restaurant business on the West Coast. His knowledge of the area and his NQF5 Certificate in Financial Planning woven together by his infinite passion for people, paved the way for him to be the real estate consultant of choice in his area of operation. In 2011 Willene started to manage holiday houses and bought a cleaning business in Britannia Bay. With the business she received a lot of property related enquiries and decided to join the Harcourts team in 2015. She is learning a lot while studying for her NQF 4 and she enjoys the training sessions with DVH attorneys and others who keep us informed with the most recent updates in the property business. 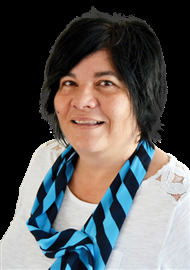 Willene is dedicated in what she do, with all the support of Harcourts West Coast. With their world-class property marketing tools, ongoing training and latest technology, she is able to serve her customers with outstanding Real Estate experience. 1 Bedroom Flat in Langebaan. Stunning home with a view! !